You are currently browsing jbrigantino’s articles. Bora Bora or Broke? Where Do You Want To Find Yourself at 65? We all need to save more money. Whether it’s the result of not having enough disposable income, a tendency to outspend our paychecks, or simply the mental disposition of there’s-plenty-of-time-to-save-for-my-future, time has a tendency of passing us by at a rate of speed that seems far quicker in hindsight than it does when looking forward. And yet, in spite of the most genuine and adamant of intentions, people simply fail to save anywhere near the amount of money they must to retire in a financially comfortable manner. Last year, CNNMoney posted the results of a survey which found that 54% of working Americans have less than $25,000 saved for retirement. Worse, 43% of Americans had less than $10,000 saved for retirement and, even more startling, 27% said they had less than $1,000 saved. As most of us will attest to, one thousand dollars in savings is essentially one un-forecasted mishap away from being forced to borrow money. You do not need a PhD in finance to come to the conclusion that we have a problem in this country; we do not save enough money. Saving for retirement is a progressive, cumulative endeavor that requires discipline to manage one’s own finances and the ability to see beyond next week. This is to say that almost everyone – albeit, surely there are outliers – is capable of saving some of their income, ideally 6% – 10% of their gross salary. This year, the American Institute of Certified Public Accountants issued a report which found that 40% of Americans will never be able to afford retirement. Never! It’s a frightening prognostication and one that any person with decades remaining before reaching retirement ever really envisions as a possibility for him or herself. Remarkably, it actually now seems a fait accompli – the natural default outcome – unless proactive steps are taken to ensure this reality never comes to fruition. So start saving, early and often! The video below provides an illustrative explanation of the extraordinary power of compounding interest. Although this approach alone may not be sufficient to afford you the opportunity to retire to Bora Bora by age 45, it should certainly position you well enough financially to retire comfortably by age 65. John Brigantino is a graduate student in the Master of Science in Business Management & Leadership Program at the CUNY School of Professional Studies. He enjoys writing, non-fiction books, traveling and the many cultural and leisure experiences Manhattan has to offer. Whoever said money doesn’t buy happiness just might want to retract that statement. Seventy-five thousand dollars a year seems to be the magical number. 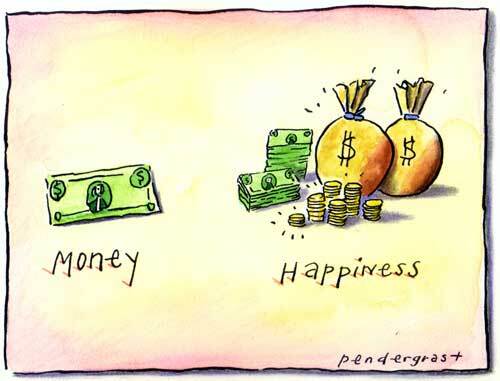 A recent study from Princeton University’s Woodrow Wilson School suggests that money truly does play a crucial role in how happy we feel. The study conducted by economist Angus Deaton and famed psychologist Daniel Kahneman surveyed 450,000 Americans. The results suggest that people encounter two forms of happiness: day-to-day contentment (emotional well-being) and overall “life assessment” contentment which is essentially a gauge of our broader sense of satisfaction; how we feel about the way our lives are going. Researchers found that not having enough money paves the way for emotional pain and unhappiness. It also suggests that an annual salary of approximately $75,000 is a tipping point; beyond that, extra income basically provides the opportunity to buy more “stuff” but not much in way of additional day-to-day happiness. We each possess our own personal expense structure but the study suggests that at $75,000 worries about money are generally no longer an issue for most people. Having greater residual income allows us to navigate the numerous adversities and misfortunes that life continually hurls in our directions. More expendable cash also afford us opportunities to engage in activities that yield a greater sense of fulfillment such as traveling, dinner with friends, or the peace of mind derived from having a five or six-figure savings account. Another remarkable finding is that increasing income has an equal effect on all individuals regardless of which rung they exist on the income ladder. So raising one’s income level by, say, 20% tends to increase his/her assessment of life satisfaction by an equivalent percentage, 20%, whether that person’s income is $50,000 or $150,000. Additionally, incomes above $75,000 do not result in more daily happiness but rather in a life that we perceive to be better overall. Relative wealth or status also matters significantly. In an unrelated study, people were asked which of the following they would prefer: (a) to live in a 2,500 square foot home where every neighbor’s home was larger than 3,000 square feet or (b) to live in a 2,200 square foot home where very neighbor’s home was smaller than 2,000 square feet. Most respondents choose the latter. What this demonstrates is that, to a large extent, what we have in absolute terms is less important than what we have in relative terms. So while $75,000 appears to be the magical number, one cannot help but wonder: While $75,000 may go a long way in Tennessee it certainly does not get one very far in New York. Perhaps there is room for upward adjustment. As each of us navigates our respective CUNY SPS programs, we have almost certainly constructed opinions of the benefits and drawbacks inherent in online learning. Overall I have been extremely pleased with the Online M.S. in Business Management and Leadership Program and would assert that any losses derived through the online learning experience are far outweighed by the gains. As with any program in its infancy stage, changes and adjustments are administered to optimize the program for the betterment of the students, the faculty, and the university. If you are like me, you’ve engaged in conversations about your program with fellow classmates. Topics of discussion may have been the possibility of student-professor communication gap, the necessity of taking prerequisites, the difficulty of managing a challenging school workload, or perhaps none of these issues. What is indispensable is that students give constructive feedback to the professors and the University. This substantive feedback is crucial in improving the totality of the online learning experience at our University. 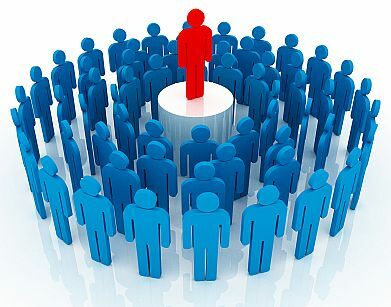 One student’s comments may not possess the impetus to nudge an issue in a different trajectory but there very well may be other students who share a similar need, criticism, or suggestion. Last semester a certain professor requested that each student upload his or her photo as part of the initial “introduction assignment” with points attached for completing the task. It turns out that the photo-from-students directive was derived from students who had submitted the suggestion. As anyone in an online program can attest to, fellow students are merely names that we see constantly and post responses to continually. They are never individuals who sit in the adjacent row; this is not a traditional classroom setting nor is it intended to be. We rarely meet the person behind the name; what does this “name” look like? There is always a cognitive gap that we subconsciously fill in with details. So the photo suggestion helped to bridge the name-person gap, and it was the product of student feedback – although not every professor requests this. As our program’s maturation process continues, we all play a role in that progression. The program will not remain static but will evolve over time. Without our presence the program would not exist. Sooner than later, in the scheme of life, we will become alumni to our University. It is incumbent upon all of us to maximize our experience and help facilitate the necessary adjustments that will make our program a valuable and enjoyable endeavor for current and future students. Me, Inc. – What Does Your Brand Look Like? In today’s corporate world, people are hired and fired on a daily basis. There is a transient nature to this ever-evolving process; I may be here today but could be gone tomorrow. People attempt to stitch together the semblance of a career while trying to maintain the perception of loyalty to their current employers. We often remain vigilant to the next position possibility, and the reasons are numerous, but often these reasons are rooted in consistent themes: an opportunity came along that I just cannot pass on; I have a desire for more money, and I deserve it; my manager is simply unrealistic, unreasonable, and unbearable – it is just time to go! Regardless of these valid motivations, one consistent reality remains unchanged; we are each CEO of our own company: Me, Inc. In a sense, we are all just free agents in an ever-changing job market paradigm. But as free agents we each carry certain notable attributes along with us, many of which are intangible. It’s incumbent upon each of us to ask ourselves: What do I want my brand to be? What are the qualities of my brand that differentiate me from my competition? Everything matters: our educational level attained, our ability to communicate in verbal and written form, our choice of wardrobe, and our ability to work and play well with others. We have sufficient control over most of these. What we do not have control over is the manner in which they are perceived, and perception – in marketing – is everything. The best approach to mitigate this reality is to contemplatively observe and critically analyze each segment of our brand: Me, Inc. More than likely we are stronger in certain areas than in others, and can strengthen our shortcomings to become a more formidable brand overall. Utilizing LinkedIn or writing a blog are channels to market oneself and assist in constructing a solid foundation for the mosaic that composes who we are as individuals. Gaining new expertise, developing new capabilities, increasing our colleague set, and constantly reinventing ourselves as a brand are critical in the process of brand strengthening. The sooner we begin viewing ourselves as individual brands, the better positioned we will become in reaching success in whichever career path we find ourselves on. 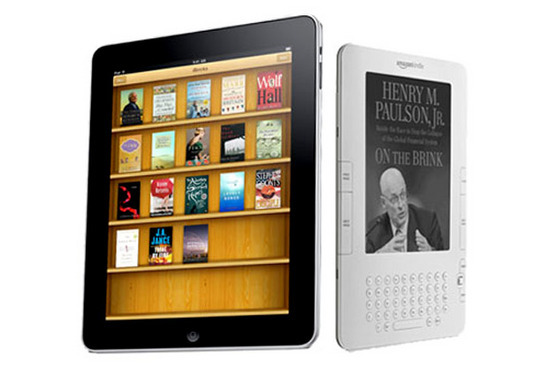 iPads, Kindles, and Nooks. Are Traditional Books Heading For Extinction? I witnessed a rare sight a few weeks ago while on the train. There was a woman reading the New York Times which, by itself, is not so uncommon. What was atypical was that the woman reading it appeared to be in her early twenties. 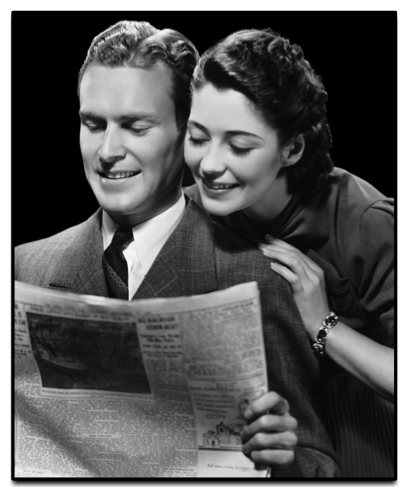 Many people still read the paper version of the The Gray Lady, but those reading it usually have graying hair. It’s simply a generational thing. We now live in the age of digital media. Just as the horse carriage gave way to the automobile, and the typewriter to the personal computer, we are now in the midst of what appears to be, perhaps, the slow and eventual demise of the book. Ride any commuter train and look around. People are reading but they’re often reading Kindles, they’re reading Nooks, and they’re reading iPads. Fewer and fewer people are reading books in traditional form. In Manhattan’s Grand Central Terminal lies Posman’s Books. In the transient and frenetic human movement that makes up GCT lies this literary refuge where commuters can take a few of their precious moments and browse countless books, new and old, fact or fiction. It’s a visceral experience to the avid reader; being inundated with a landscape of book covers, different colors, different photos. There is a sensory component to the experience of searching and deciding which book to purchase next. Then there is the tactile aspect of actually reading the book; feeling the book in one’s hands, physically turning its pages, using a bookmark that represents a keepsake while once traveling abroad. These all compose the totality of the reading experience. Yet, most of these attributes are lost when you’re reading a book on a device such as the Kindle. The iPad captures the reading experience better than most devices. With its color, page-turning simulation, and one’s very own bookcase case, the leap from traditional book to digital device is coming at a lower cost to the consumer. What one loses in transition is slowly being diminished. You can see these changes rather subtly at any bookstore. I often see people typing into their phones just after glancing at myriad book titles. I can only surmise that they are tallying a list of which books to purchase next for their respective e-readers or, for that matter, from Amazon or BarnesandNoble.com. In a way, bookstores are becoming browsing venues for consumers while the actual product-purchase is a transaction that takes place in a different venue, often online, and often cheaper. It is a challenging road ahead for small bookstores. So how will this process play out? If you live in New York, just look around. Cars are ubiquitous, the only place you can really find a horse carriage is in Central Park, and the typewriter is a long lost relic of the past. Are books doomed to the same fate? Maybe, maybe not. E-reading devices may not necessarily improve the reading experience but they clearly provide readers with a new channel of distribution in which to consume the product, and that matters significantly. There was a time when most people listened to music on a Sony Walkman. You’re now about as likely to find a Walkman as you are to find a typewriter – except on EBay. And speaking of things that may be headed for extinction, there is the aforementioned New York Times newspaper. But that’s a topic for another time. Zuckerberg, Hoffman, Dorsey are the new Rockefeller, Morgan, and Carnegie. I’ll venture a guess and say that most of you have heard of Mark Zuckerberg. 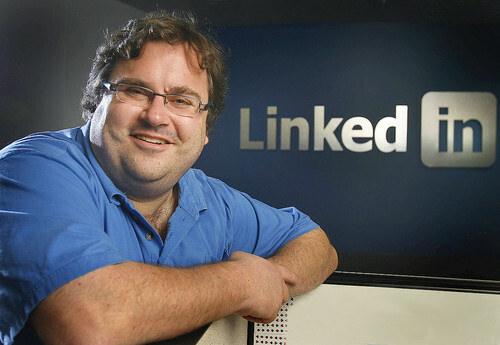 I’ll venture another guess and say that most of you have not heard of Reid Hoffman or Jack Dorsey. Hoffman and Dorsey are at a decided disadvantage here as Zuckerberg is the centerpiece character in the Oscar nominated movie The Social Network. No big screen for Hoffman or Dorsey. But I’m thinking that’s just fine with Hoffman as his company will soon go public. 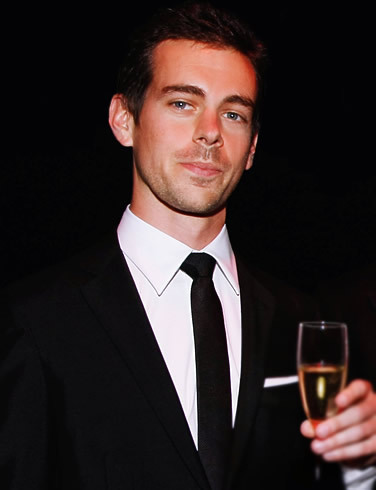 That said, Hoffman is the founder of LinkedIn, and Dorsey is the founder of Twitter. In full disclosure, I really never understood the fascination with Twitter – or, at times, with Facebook. Pardon my learning curve but status updates like getting ready to vacuum just do not strike me as the depth of information that needs to be posted for public consumption. But far be it from I to make the perfect the enemy of the good. As social network platforms, there is no denying their power and significance in today’s interconnected world. Connections matter. Get on board or get left behind. In his book Outliers, Malcolm Gladwell discusses that John D. Rockefeller, J.P. Morgan, and Andrew Carnegie, along with a number of other capitalists of that era, were all born between 1830 in 1837. It was the dawn of a new era saliently marked by extraordinarily robust growth in the oil and railroad industries. These men prominently stood at the epicenter of such industries, in the right place, at the right time. We saw a similar occurrence during the computer revolution. Had Bill Gates and Steve Jobs been born in an earlier time, Microsoft and Apple might not exist today. To their credit, all of these men comprehensively harnessed the technologies and infrastructure advancements that were available to them at the time, and ran with it, while the rest of the world remained pedestrian. They were risk takers and unyielding in there myopic focus in seeing what others could not, or would not, envision. But it was the combination of internal forces and external facilitators (most of all, timing) that ultimately brought their embryonic visions to fully matured fruition. In a sense, Zuckerberg, Hoffman, and Dorsey are today’s Rockefeller, Morgan, and Carnegie. They are visionaries, entrepreneurs, business luminaries, and billionaires. Like their predecessors in their respective sectors, these contemporaries figure prominently at the forefront of the newly created social networking space. J.P. Morgan dressed in a three-piece suit and top hat as he walked through Central Park while Mark Zuckerberg goes to work in a Gap sweatshirt and flip-flops. Yet, both have had an astounding impact on the world. They all deserve celebration and should be lauded (unlike many “celebrities” who have accomplished remarkably little and often contribute nothing of value to our society – read: Kardashians) for their respective, significant creations that we all may opt-into as participants. They are corporate titans of the highest magnitude, even in flip-flops. Memo From Employees to Employers: We’re Out of Here! Workers want out! Such is the collective sentiment felt in unison by the American workforce. They show up to work, fulfill their job requirements, and act like good soldiers, all the while surreptitiously knowing they already have one shoe out the door with the other closely behind. In December 2010, CNNMoney ran a story depicting the current state of employee discontent: New Year’s Resolution: I Quit! In summation, “[a]ccording to a recent survey by job-placement firm Manpower, 84% of employees plan to look for a new position in 2011. That’s up from just 60% last year.” It is a truly staggering figure. If you’re an employee at a company, then take a moment and scan the office. For every ten workers you see almost nine of them want to quit. That’s remarkable. It is no secret that hiring abated dramatically during this recession which is why many unhappy workers toiled away quietly while anxiously waiting for the bell to ring. The economic upswing is now accelerating and hiring is ramping up again. There’s the bell. Albeit problematic for management, losing employees is more accurately a symptom of a more systemic undercurrent of discontentment enhancers. Underlying issues often prompt workers to run for the exits. The top three motivations behind why employees quit are as follows: (1) better opportunity, (2) more money, and (3) clashes with management. People move on, that is just the natural order of things in the corporate world whatever the geneses of discontentment may be. But although quitting may be a net positive for the employee, it often is a transaction that has a negative effect on the company, particularly on management. Quitting disrupts organizational continuity, and costs countless dollars to train new hires. Retention is vital but remains an enormous challenge for companies. Elements that deserve consideration are: increasing compensation and vacation time, allowing employees to participate in a four-day workweek, retraining or eliminating bad managers, allow for employee feedback, and making a genuine attempt to determine what employees want! So who is to blame? Are employees asking for too much in return for their services? After all, isn’t a job merely one compartment of a person’s life? Sure, most workers would privately exclaim they are more deserving of greater compensation and perhaps some of them are justified in that claim. But one has to wonder, is the grass necessarily greener or is this simply a delusional, unending search for the Holy Grail that inevitably succumbs to exhaustion with the epiphany that no perfect job scenario really ever existed in the first place? Perhaps there is room for blame on both sides of the equation. But companies must realize that the job market is just that, a market. They are competing to purchase worker productivity through compensation and benefits. It is a zero sum game; one company’s loss is another company’s gain. And although there may be numerous skilled, educated, and dedicated workers in the current applicant pool, this almost certainly will not always remain the case. One thing is for certain, if companies do not reexamine and revamp their current approaches to employee retention, then they just might as well install revolving doors at their entrances. 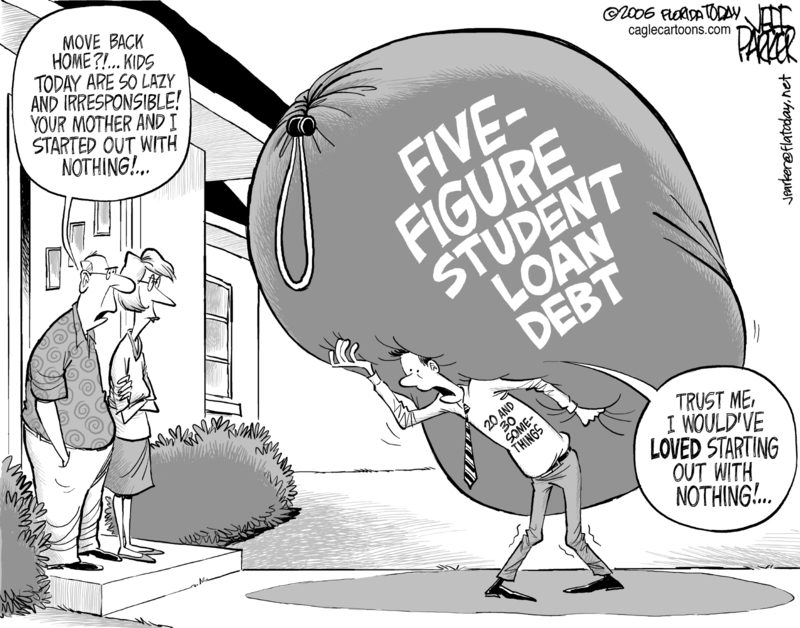 Continuing with our theme, the recently aired CNBC program, Price of Admission: America’s College Debt Crisis, illustrates that the current total outstanding debt of college students is just shy of one trillion dollars. Student loan defaults have more than doubled in the last four years and two-thirds of all students are saddled with approximately $24,000 in debt, a challenging but certainly manageable financial burden. Granted, the number Dells and Gates sprinkled among us are very few indeed. But the competition to gain entry into the entire landscape of private universities remains phenomenally robust. Some sage advice: which college or university one elects to attend is not the grandest of bets one makes in life though it may appear so at the time. Albeit significant, it is merely one chapter of many that creates one’s entire life story. A few months ago I was in a restaurant with several acquaintances. When the bill arrived one of the girls scrutinized the tab to ensure the bill was accurate. She was a recent graduate of George Washington University and her parents had paid well over $200,000 for her illustrious education. After a few moments she took out her cell phone and began to calculate the tip on the two hundred dollar tab. It would seem to me that as much as companies might prefer to have prestigious universities listed on the resumes of their prospective employees, they would almost certainly rather have those employees possess the cognitive dexterity to calculate twenty percent of two hundred dollars without the aid of a calculator. Perhaps she would have been better served attending a public university and funneling the $150,000 saved on tuition into an investment account. Call me crazy. There has been much banter in the last few years that a four-year degree is no longer a worthy investment. If it is an assertion worth challenging at all, then at the very least, this debate needs to have its parameters narrowed. I would suggest the conversation needs to have its epicenter shifted: at what point might the practical benefits of a degree be eclipsed by its cost? Kelli Space, a recent graduate of Northeastern University, began a website soliciting money to pay off almost $200,000 in school loans. I initially felt sympathy for the recent graduate. After all, to a certain degree, Kelli is merely a victim of modern times in higher education; tuitions for private universities are astronomical. Had she enrolled and graduated even a decade earlier her debt load would have certainly been more diminutive. But to a large extent, Space is to blame for her current quagmire, and she is by no means a unique situation in this country. Space knew exactly what the costs involved were when she elected to enroll in Northeastern every year. She must have been cognizant of her accruing debt yet, she made the decision to continue buying Northeastern’s product. No one forced Space to enroll or remain there. She had many viable options. So the final bill arrives and Space has buyer’s remorse along with a debt heap the size of Mt. Everest. And whose fault is that exactly? In truth, the complexities that compose income inequity are somewhat more complicated than simply whether or not one possesses a bachelor’s degree. Though each may possess a degree from an identical institution, one who pursues a career in investment banking will undoubtedly attain a sizable disparity in income than one who spends his/her life as a social worker. Bernanke is certainly aware of this fact, and many similar impacters, but truncated response time surely prompted his abbreviated response. Without question, a bachelor’s is a sine qua non in today’s corporate world. The more pressing issue is whether one needs to spend $200,000, and the ensuing years of repaying those school loans, to attain that degree. Although education may be one of the greatest investments any person can make, it is certainly not a bargain at any price. The average tuition cost of private universities is quadruple that of state/city schools. I would humbly assert that the quality of the educational content taught in today’s private universities are not, in fact, four times superior than that of public universities? Yet, private schools – not unlike their counterparts – continue to raise tuition costs, year over year, because demand continues to remain robust. So what gives? Like any product in a consumer market, different universities represent different brands for the consuming public, in this case, prospective students. Costs vary accordingly. And yes, prestige often does matter to many. But when university tuitions become so financially onerous that graduates resort to creating websites begging for money to pay for their school loans then something has clearly run afoul in our system. We shall consider this discussion further in my next post. It’s 1979 and a young man from Scarsdale, New York is having the typical academic difficulties that many freshman encounter during their first tour of duty in the college ranks. He’s just failed one of Syracuse University’s core course requirements. Since the University does not allow students to participate in on-stage performances without successfully completing all of the Drama department’s core requirements, it’s a tremendous setback for the student. After all, his sole ambition is to become successful in theater. So the young man retrenches and launches into sophomore year more determined than ever. Fast forward to 1983, filled with immense pride and ambition, the young man readies to graduate with a Bachelor Degree of Fine Arts in Musical Theatre. With the wide-eyed look of any graduating senior, he is ready to take on the world. But the post-graduate years did not encompass the swift, linear stride to stardom he had expected; plagued and frustrated by an inability to find steady work in his chosen career path. Though he managed to stage an academic comeback at college, he was now spinning his wheels in the mud. The new graduate found employment in such indistinguished jobs as telegram delivery singer, limousine driver, and T-shirt folder for the play Cats. So close but yet so far. These positions were certainly not the capacities of occupations the graduate envisioned upon disembarking from Syracuse. Once upon a time he hoped to become the next David Mamet. Now, the fog of despair was slowly rolling in. One rainy, Friday night in Manhattan, the young man was house sitting at a friend’s apartment. Finding nothing of interest on television, he sat himself down in front of his friend’s semi-automatic typewriter. And there he began to type. But more than simply typing, the directionless young man became completely engrossed in the unexpected moment. He “felt a phenomenal confidence and a kind of joy that [he] had never experienced before in [his] life”, he would later express. In the course of merely a few hours, in this phenomenally fulfilling contextual moment, he had stumbled upon his passion, and it wasn’t theater acting. In one random evening, that career trajectory of certainty, theater actor, was unexpectedly nudged into another track: playwright. And so it often goes in life that what we consider to be our certain career calling is, in reality, simply the corridor we currently inhabit – just until we no longer inhabit it. Things change, and the forces that nudge us may be internal or external in nature. The key is to remain open to life’s plentiful possibilities and opportunities when they present themselves. The real challenge is possessing the vigilance to identify them when they appear and the wisdom to capitalize on them before their ephemeral natures take hold, just as that writer-in-the-making did. Our friend did go on to become a professional writer, and a marvelous one at that. He would eventually pen some rather stupendous works for television, the Big Screen, and Broadway: A Few Good Men, The West Wing, Charlie Wilson’s War, and The Social Network, to name just a few. Perhaps you’ve heard of him. His name is Aaron Sorkin, and by some measures, he’s become even bigger than Mamet. It’s certainly a long ways away from folding t-shirts for a living.